Our LPG dispensers are of highest quality standard with precision temperature compensator to fill accurate volume. The dispensers have Single-touch keypad for preset-volume or amount filling, are easier to handle with build-in emergency stop system with quick disconnection nozzle. 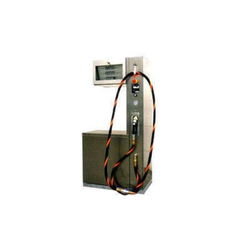 a major instrument in an auto lpg dispensing station is the auto lpg dispenser. It is used to measure lpg and dispense the exact quantity to vehicles and the dispensed quantity is stored in their computer related memory system and the same can be verified at anytime. Tatsuno LPG dispensers provide safe and quick filling of LPG while ensuring high accuracy over an increased flow range. Since there are no moving parts in the meter, the cost of maintenance is very low resulting in a significantly low total cost of ownership. Three outstanding models integrated to handle the busiest times. With the need of the hour being sustainable development for oneself in the present and future generations, we have seen a quantum leap in interest and demand for alternate forms of energy. Whilst we remain heavily dependent on fossil fuels as source of energy, we see alternatives as the future. There is a long list of spares that can be supplied to the customer's requirements for the bulk LPG storage and handling to Auto LPG Dispensing Station equipment. This includes the electronics spares, Pumps, Seals and gaskets, filling nozzles / guns, Hose, Solenoid valves, Safety valves, Ball valves, Actuators, Vaporizers, Control panel, you name it. - Service :- Transfer LPG liquid from Storage Tank to Dispenser.